Cutting UI Benefits: Who Gets Hurt? 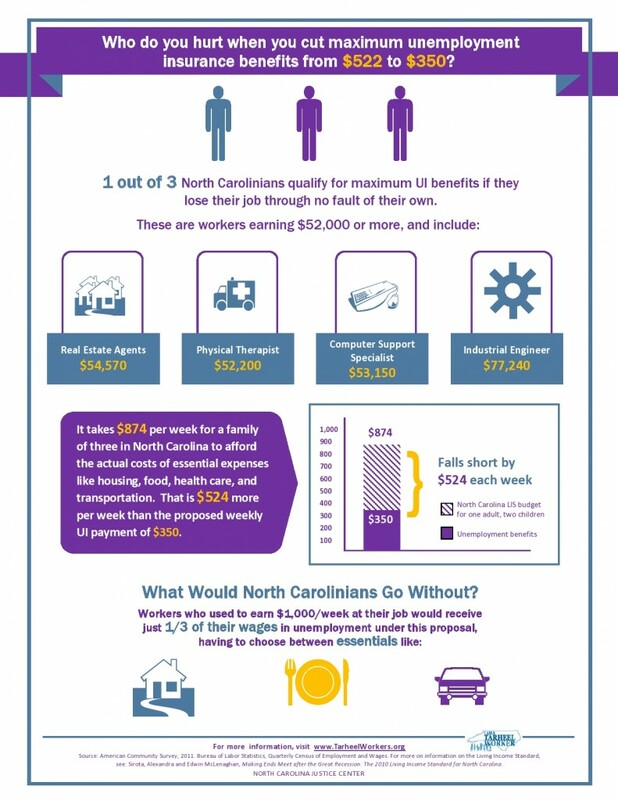 Cutting maximum unemployment insurance benefit levels will directly affect workers earning $52,000 or more per year who lose their job through no fault of their own. Click image to enlarge, or download as a PDF and share HERE. 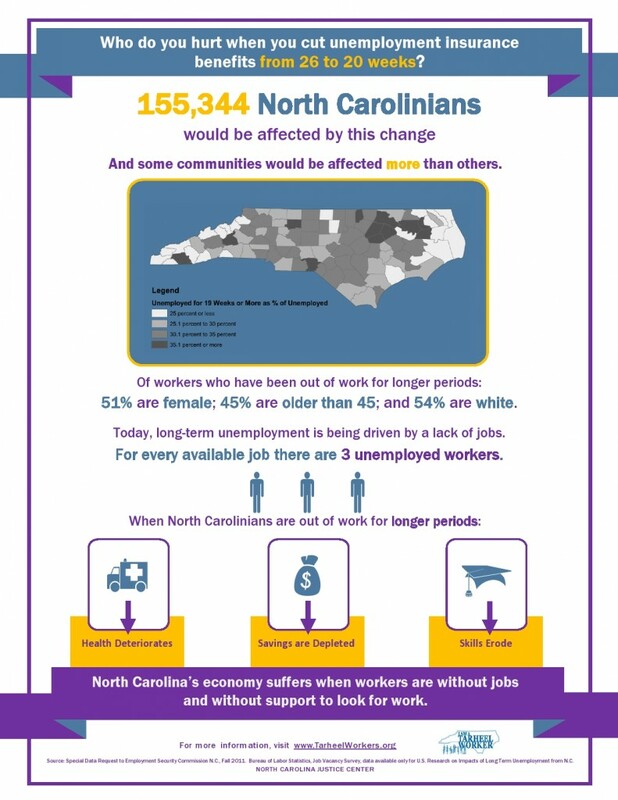 Reducing the number of weeks that unemployed workers qualify for UI benefits from 26 weeks to 20 would harm 155,344 North Carolinians. Click image to enlarge, or download as a PDF and share HERE.